The first lady said she hosted Monday's meeting of the Interagency Working Group on Youth Programs to learn more about available government programs and how to continue working together to create more opportunities to help and empower children. 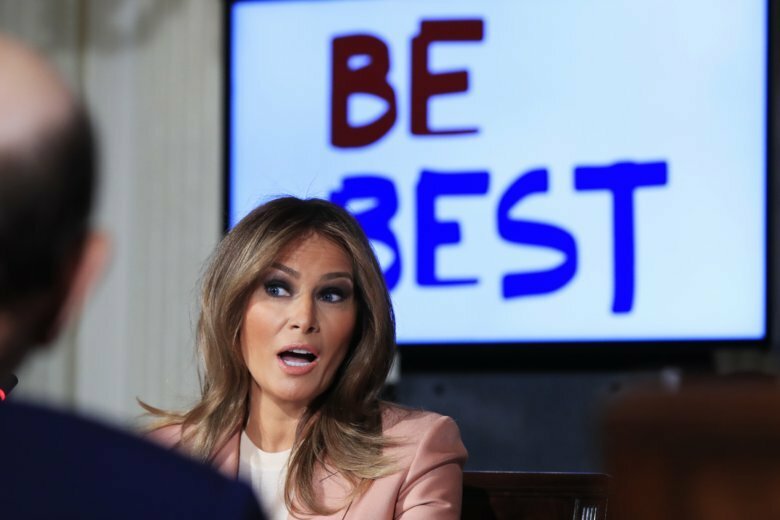 WASHINGTON (AP) — Melania Trump took a deep dive into the federal bureaucracy Monday at a briefing on government youth programs as she looks for ways to promote her “Be Best” initiative. Azar went on to describe resources on a government website that can help people recognize opioid abuse in young adults. The site also has information on the risks of tobacco and e-cigarettes, he said. Education Secretary Betsy DeVos pushed a proposal for billions in federal tax credits for people who donate to groups that offer scholarships to help students attend private schools, apprenticeships and other educational programs. Housing and Urban Development Secretary Ben Carson spoke about his department’s literacy programs. The first lady learned that the National Institutes of Health is preparing to enroll up to 10,000 pregnant women, including some who are addicted to drugs, in a healthy brain and child development study and follow them and their children for 10 years. And the Federal Emergency Management Agency has produced an old-fashioned card game to help teach children how to stay safe and help others during an emergency.